Asi Moshe has a pretty good track record at the WSOP so far. He’s played in just four tournaments, and last year, he took fifth in a $1,500 NLHE event ($141,124). This year, he beat a field of 2,396 players to win a $1.5k NLHE tourney and $582,321. 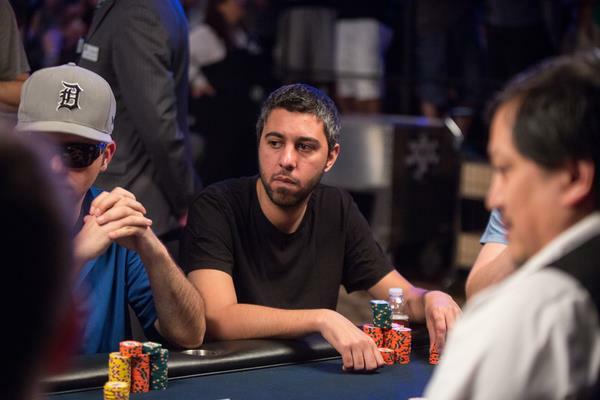 One thing that helped the Tel Aviv native combat his inexperience in the live poker arena was the support he received from his rail. Moshi’s buddies cheered loudly as the 30-year-old battled through the 9-player final table and on towards his first gold bracelet. Despite his late start and dwindling starting chip stack, Kachan was able to battle through a 2,525-player field and win a $1,000 NL Hold’em event. Kachan collected a very large $403,483 payout and his first gold bracelet after the victory. Now that he’s a WSOP champion, Kachan looks forward to spending some time in Vegas with his wife and 10-month-old son. He also plans to play in the 2014 Main Event with dreams of winning a second bracelet here. The end of the 2014 WSOP Big One for One Drop seemed like a dream scenario for Daniel Negreanu to further his poker legend. He was facing lesser-known poker pro Dan Colman heads-up and had the chip advantage on his side. But the exciting thing about poker is that victory doesn’t always go to the more-experienced player, and Colman won out in this heads-up battle. The 23-year-old, who previously had $2.9 million in live tournament winnings, collected the $15,306,668 top prize. Coupled with his EPT Grand Final Super High Roller title ($2,127,398) from earlier this year, Colman is having a real breakout party in 2014. As for Negreanu, he can’t complain too much because his $8,288,001 runner-up prize moves him to $29,796,380 in career winnings, which is the most in poker history. This edition of the Big One was another huge success as 42 players turned out for the event, creating a $37,333,338 prize pool. $111,111 of every $1 million buy-in went towards the One Drop foundation ($4.6m total), which provides clean drinking water around the world. In all, $11 million has been raised for the One Drop foundation.